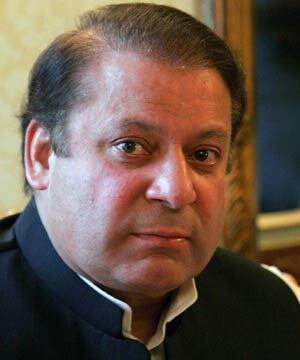 Pakistan Muslim League Nawaz (PML-N) Chief Nawaz Sharif said that the government has failed in restoration of peace in Karachi as several people fall prey to violence on the daily basis. While meeting with Chief of Pakistan Sunni Tehrik (PST) Sarwat Aijaz Qadri, Sharif said that there would be peace in Karachi if the orders of the Supreme Court (SC) were implemented. Both leaders discussed the overall situation of the country. The PML-N chief said that the restoration of peace in Karachi would be his part’s priority if came into power.